The SS islander was the most luxurious ship in operation by the Canadian-Pacific Navigation Company during the height of the Klondike Gold Rush. Because of its stature, the ship was used by gold miner investor, bankers and other rich men involved in the gold mining at the time. It often ferried gold from the mines that was worth millions. 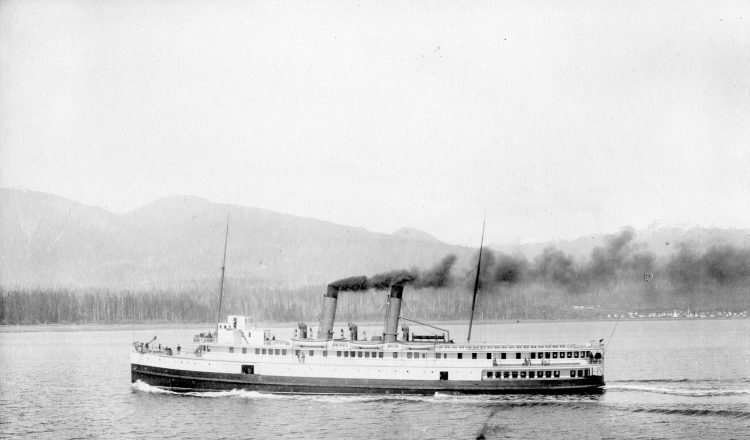 The SS Islander departed on what would be its final journey from Skagway in Alaska for British Columbia’s Victoria on August 14, 1901. The ship had 107 passenger and 61 crew members on board and had a considerable cargo of gold with considerable value. The ship struck an Iceberg that cut a large hole in its forward underbelly allowing water to rush inside and thus forcing the ship to sink. The attempt by the captain to steer the ship to nearby Douglas Island was in vain, and in just under a half an hour the ship had sunk to the floor of the ocean. In the process it claimed the lives of about 40 people. 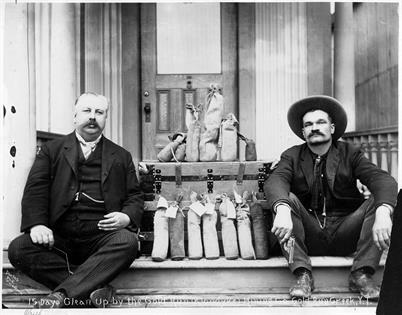 Two men pose with a shipment of gold leaving the Klondike. Just a few weeks after SS Islander had sunk to the floor of the ocean, the Canadian-Pacific Navigation Company sent one of its sister ship, the SS Haling to come and try and locate the wrecks of the sunken ship. Although SS Haling searched the area for several days it failed to locate the exact location and debt of the wreck. This time an experienced diver with over 40 years’ experience, Henry Finch was sent to do the job. He covered the length of the Lynn Canal and located the hull of the ship but could not proceed with the salvaging efforts because he lacked sophisticated tools to help with the job. Armed with the right tools for the job (a diving bell and a custom made barge) Finch returned to the location of the hull and was able to locate the wreck of SS Islander in the channel. He also took time to investigate further and discovered a large gaping hole on its bow. However, he did not have the right equipment to gain access to the location of the gold for recovery. Several other salvaging attempts were made in the next 25 years with many reporting reaching the ship but nothing significant came from the efforts. The strong current in the channel and the adverse weather conditions made it impossible for the divers to reach the gold in the ship. In 1929 an experienced Captain named Wiley from Seattle Joined forced with an experienced House mover Frank Curtis to make one major recovery attempts on the ship. Armed with steel cables and other sophisticated equipment the men were able to bring the rake of the SS Islander to shore of the Admiralty Island in 1934. However, upon inspection, the gaping hole on the ship was much larger than thought and a whole section that contained lockers that contained the gold bullion were missing. In fact, after the ship had been cleaned only gold worth $75,000 at the time was recovered. Much less than the ship was known to contain. The “gaping hole” first noted by Henry Finch in 1904 turned out to be more significant than suspected: 60 feet (18 m) of the Islander’s bow, including the Mail and Storage Room, had been completely sheared off. However, it was the Purser’s Office in the midsection of the vessel where Islander’s gold was expected to be found. Several other efforts to locate and recover the locker and the gold were conducted for the next 62 years were conducted with little success. The Ocean Mar Inc. in 1996 raised enough funds to conduct a salvage expedition in the Lynch channel but got involved in a legal battle with Yukon Recovery which had also been planning for a recovery expedition. Eventually, Ocean Mar Inc. got the ahead to conduct the expedition. Finally, after several weeks at sea, the Ocean Mar Inc. crew located the bow section of the Islander on 15th August 1996. After the location of the bow section of the ship which was thought to contain the gold lockers another lawsuit by Yukon Recovery was filed against Ocean Mark Inc. this dragged on until 2000 when it was determined in favor of Ocean Mar. By this time, Ocean Mark Inc. did not have funds needed to conduct a salvage mission. In 2012 it teamed up with MK Salvage Ventures and the two firms spend month’s at sea. The crews eventually recovering gold bullion in original leather bags from a century ago. 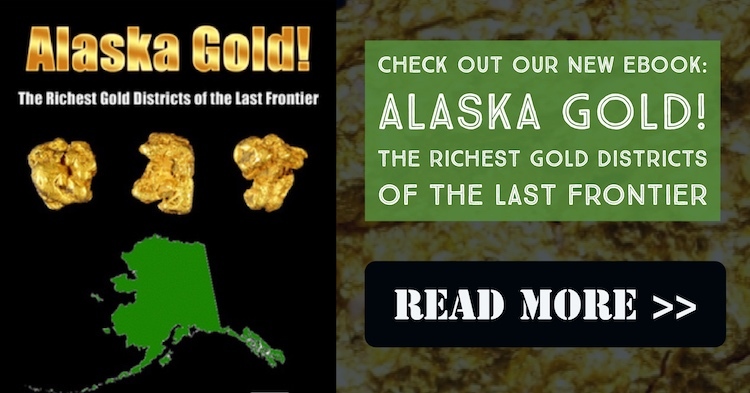 In total, the firms recovered about 1200 ounces of gold. 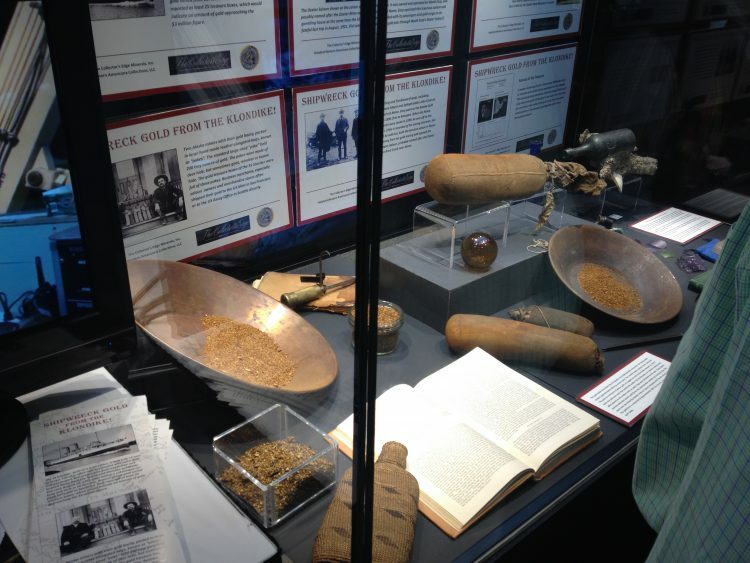 In addition, several other valuable artifacts dating back to the Gold Rush era were also recovered at the site. Below is a picture I took of the part of the treasure on display at the Tucson Gem & Mineral Show in 2015.